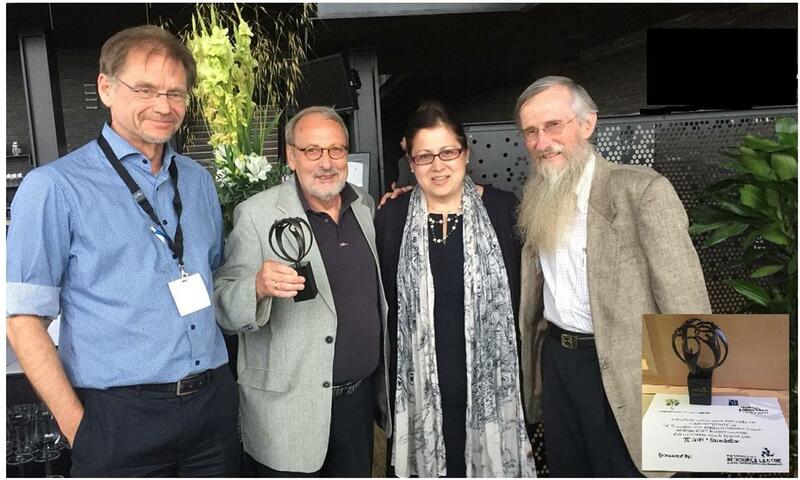 It is my pleasure to inform you on behalf of our research institute that our colleague Prof. Pieter Glasbergen received the Life Time Achievement Award (LTA) for his research on Partnerships for Sustainable Development at the CSSI conference in Copenhagen, Denmark. 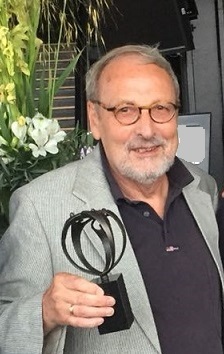 After three Americans, Prof. Glasbergen is the first European who received the Award. In his laudation the chair of the committee, Prof. Rob van Tulder, memorized that the Life Time Achievement Award recognizes scientifically and socially relevant research in Cross Sector Partnerships for the social good. The LTA was also initiated as an encouragement to younger scholars to follow in the paths of well-known international scholars. The chair qualified Pieter as an excellent researcher, a critical thinker, and an inquisitive human being. Pieter’s approach is always critical and international and he demonstrates that it is possible to combine disciplines. His legacy is not only his books, articles and insights but also his coaching and supportive action towards aspiring young scholars. To Pieter’s surprise two of his former PhD students, Dr. Greetje Schouten and Dr. Verena Bitzer, were asked to continue the laudation. Pieter, they said, is an influencer. He is one of the pioneers in the field of cross-sector partnerships from a political science perspective. Pieter clearly is a thought-leader but probably also a thought-provoker. He does not shy away from debate; he does not mind telling that we might be wrong when we in fact think that we’re right. Pieter certainly likes to provoke people, but he does not do that with the aim to irritate or annoy others. He does it to stir up, to stimulate, to learn and to reflect. He uses heated debates to sharpen his view and our minds. His high demands, sharp analyses and genuine involvement have helped many master and PhD students to reach their full potential over the past decades. Pieter has the ability to offer his students strong guidance, while giving them control over their own work. Moreover, Pieter and his wife Wil welcomed many PhD students into their home, showing that support does not end with commenting on a paper or discussing research ideas, but also has a social side. Pieter was visibly moved by these nice words. In his keynote address ‘Foundations of Partnership Paradigm and Beyond’, at the second day of the conference, Prof. Glasbergen invited the audience to join him on a journey to several of the manifestations of the partnership paradigm and some implications. In his presentation he took a governance perspective to reflect on the partnership paradigm as a reform agenda. The themes he covered were the process of governing, partnerships as a new mode of socio-political management of societies, and partnerships as parts of a larger governance system and their contribution to the governability of issue areas or sectors in the political-economy. He concluded with a reflection on the identity of partnership researchers. According to his view, partnership researchers are robust as social engineers; in creating knowledge about the social technology to build partnership arrangements. Sometimes at the expense of a critical and distanced appraisal. We need to realize that the partnership paradigm is both a fact, that can be studied and sustained, and an ideology, which can be qualified as functionalistic and pragmatic, and which we do not need to accept uncritically. The ultimate question is not how we can improve partnerships, but how we can make societal problems more manageable and solvable by working in and with partnerships as one of the crucial strategic choices for progressive change. The keynote can be read at: http://munpop.nl/sites/munpop.nl/files/Keynote%20Beyond%20Partnerships.pdf.